Bowing to pressure from the Dow Chemical Corporation, the internet company Verio has booted the activist-oriented Thing.net from the Web. Internet service provider Thing.net has been the primary service provider for activist and artist organizations in the New York area for 10 years. On December 3, activists used a server housed by Thing.net to post a parody Dow press release on the eighteenth anniversary of the disaster in which 20,000 people died as a result of an accident at a Union Carbide plant in Bhopal, India. (Union Carbide is now owned by Dow.) The deadpan statement, which many people took as real, explained that Dow could not accept responsibility for the disaster due to its primary allegiance to its shareholders and to its bottom line. Dow was not amused, and sent a Digital Millennium Copyright Act (DMCA) complaint to Verio, which immediately cut Thing.net off the internet for fifteen hours. 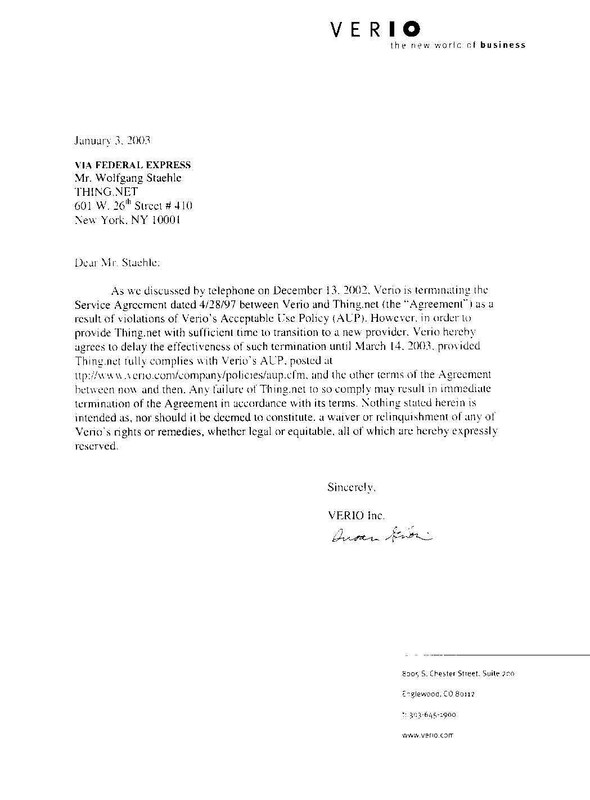 A few days later, Verio announced that Thing.net had 60 days to move to another provider before being shut down permanently, unilaterally terminating Thing.net's 7-year-old contract. Affected organizations include PS1/MOMA, Artforum, Nettime, Tenant.net (which assists renters facing eviction), and hundreds more. RTMark, which publicizes corporate abuses of democracy, is housed on Thing.net. Please visit secure.thing.net/backbone/ to help Thing.net survive Dow's and Verio's actions, and to develop a plan to avoid such problems in the future. See what "Dow" has to say about this! And for more on the real Dow, see this incredible item.